If you’ve got a weekend of hedonistic fun planned, you might already have decided which clubs you’re going to at night, and what museums and art galleries you’re going to see during the day. But Amsterdam isn’t all about partying and being a tourist; there are plenty of ways to find that connection with your mind, body and spirit when you’re in the bustling Dutch city. Take a look at our ideas for how to enjoy Amsterdam at a different level and find your inner balance at the same time. Yoga is not only great for de-stressing; it’ll also allow you to stretch your body too. 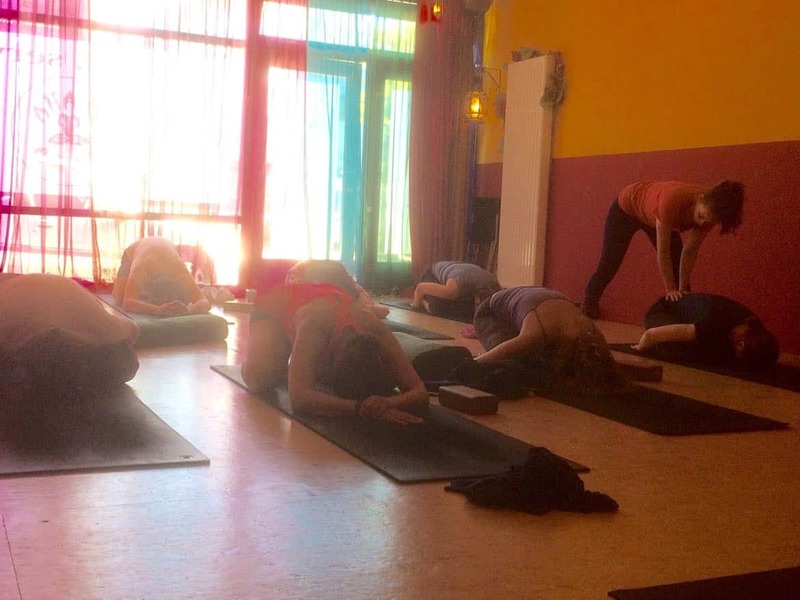 In Amsterdam, there are plenty of different places to join a yoga class. There’s one school called Movements Yoga that even offers classes in the Vondelpark on Sunday mornings. For a wide choice of different classes, including ones that are adapted for different age groups, try a school like Svaha Yoga. Finally, if you don’t want to find a place to do yoga, why not stay in a hotel that has yoga on-site, like the Volkshotel on Wibautstraat. They run classes three times a week, so your stay is bound to coincide with at least one of the lessons. Meditation and mindfulness is another way to allow you to find a sense of equilibrium and, again, there are plenty of opportunities to do this in Amsterdam. At the Zen Centrum Amsterdam, there are morning meditation sessions seven days a week and on most evenings too. The sessions are free to attend, but donations are welcomed. Similarly, you can join in evening drop-in mindfulness sessions at the Therapeutisch Activiteiten Centrum Amsterdam – check out the Beyond Mindfulness website to find a date that suits you. If you like the idea of the benefits of mindfulness or meditation, but don’t want to attend a class, there’s a different way to gain similar benefits. Tarot readings allow you to evaluate what’s going on in your life and take a wider view of how different issues and people within your life may be affecting you. You can arrange to have a tarot reading online in the privacy of your hotel room at the beginning or end of the day. The reader will ask you questions and use the tarot spread in front of them to draw out insights into your situation. You can take away those insights and choose to act upon them – or not! Either way, it’s a fascinating experience. Finding time for a session such as a tarot reading isn’t always easy when you’re at home; take the opportunity for some downtime while you’re away to explore your inner thoughts and feelings. We couldn’t talk about unwinding and relaxing without mentioning a traditional favourite activity a group of friends to do together – booking in for some pamper treatments. Amsterdam has an abundance of spas to choose from but one of the best is the City Street Spa in Prinsengracht. They have a huge range of treatments but, if you can’t make up your mind what to have, then opt for one of the treatment packages like the two-hour City Street Spa Detox, which includes an aromatherapy detox treatment and a 60-minute facial. Mix and match some relaxing and balancing activities alongside the sightseeing and partying planned for your stay in Amsterdam, and you’ll leave the city feeling energised and refreshed, and not just footsore and hung over!